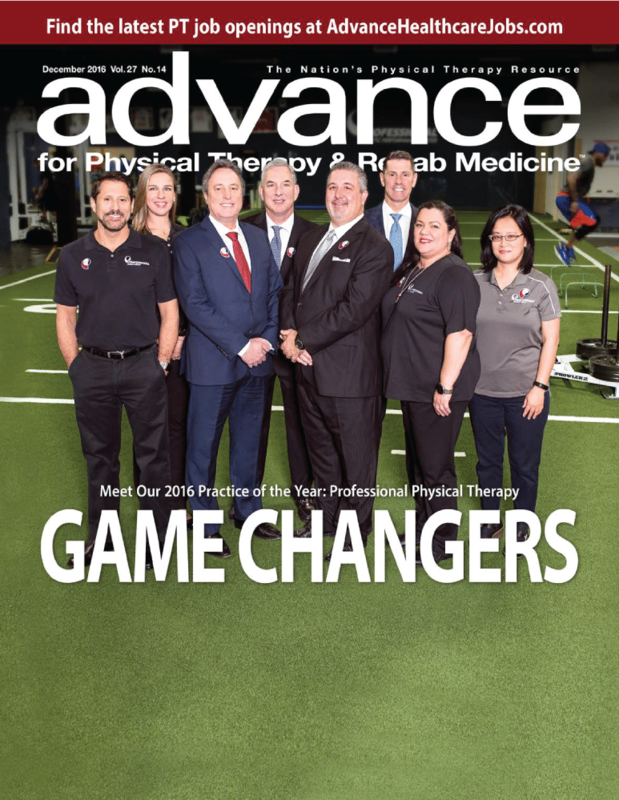 Professional Physical Therapy is the 2016 recipient of ADVANCE for Physical Therapy & Rehab Medicine magazine’s annual “Practice of the Year” award. Read More. Read Professional’s feature in ADVANCE Magazine. We believe in treating our patients, not just their injuries. Our licensed Physical Therapists customize individual recovery plans using the most state-of-the-art technology and practices to get patients performing better than ever. Our physical therapy clinics are located throughout the New England area with locations in New York, Manhattan, Bronx, Queens and Brooklyn, New Jersey, Connecticut, Massachusetts, and New Hampshire. © Professional Physical Therapy 2019. All Rights Reserved.